Within the next 5 years, more than 70 percent of millennials are expecting to work in a smart office setting. Eighty-one percent said that the available technology would factor in to their decision on whether to take a job in the first place. And 68 percent said they are willing to use emerging technologies like virtual reality (VR) and augmented reality (AR) products in their professional lives. Dell’s numbers from its 2016 Future Workforce Study suggest that integrating a workplace with smart technologies such as the Internet of Things (IoT), VR/AR, and intelligent buildings provides a significant boost to modern recruiting efforts. Human resource professionals have the daunting task of bringing in smart office technology to remain competitive in the recruiting landscape over the next five years. Digital twin technology—the concept of creating a virtual version of a real world location—is quickly becoming a staple of the modern workplace. Integrating your building with IoT features and other intelligent, connected technologies can simplify various routine tasks and the overall management of your facility. Using WRLD for smart workplace mapping, employers can add a visual and interactive digital twin of their workplace offerings to add to their arsenal. Not only does this feature draw in a younger and talented workforce, but it also serves the dual purpose of aiding recruiters and in common tasks such as giving office tours, navigating prospects around the building, and scheduling space for interviews. The latest technologies most effectively bring in the top talent, and IoT-enabled workplaces empower employers to make informed decisions and enhance synergy within the organization. Providing the right tools and technology is indispensable for improving talent acquisition. Combining WRLD 3D indoor mapping with smart office IoT solutions gives employers the confidence that they are offering their workers the latest in workplace management technology. These digital twin tools allow employees to understand office dynamics and what is offered within the workplace. They do this efficiently, and in a way that’s mobile-friendly. And the benefits aren’t over after initially implementing a smart office concept. A workplace can continue to grow and add technologies, such as VR/AR, beacon technology, and IoT integrations. Employees can benefit from discovering new, more intuitive ways to connect and collaborate. According to the report Accenture’s 2018 Technology Vision 80% of executives believe it will be important to leverage extended reality alternatives. As a recent example of this forward-thinking workplace development, Bloomberg unveiled in October 2017 a new intelligent building to serve as its European headquarters in London. This new building is wholly owned by Bloomberg and represents 30 years of growth and investment in new ways of supporting the workforce. When recruiters find it difficult to attract high-quality talent, this ultimately increases the average cost per hire. In 2016, SHRM reported that the average cost-per-hire was $4,129, and the average time spent filling a position was 42 days. It might seem like implementing a smart office environment, then, might be a difficult additional cost to bear. But consider the alternative: if a company lacks the tech resources that enable employees to express and solve problems in a creative and efficient manner, this will end up costing more in recruitment efforts and potentially lead to employee turnover. 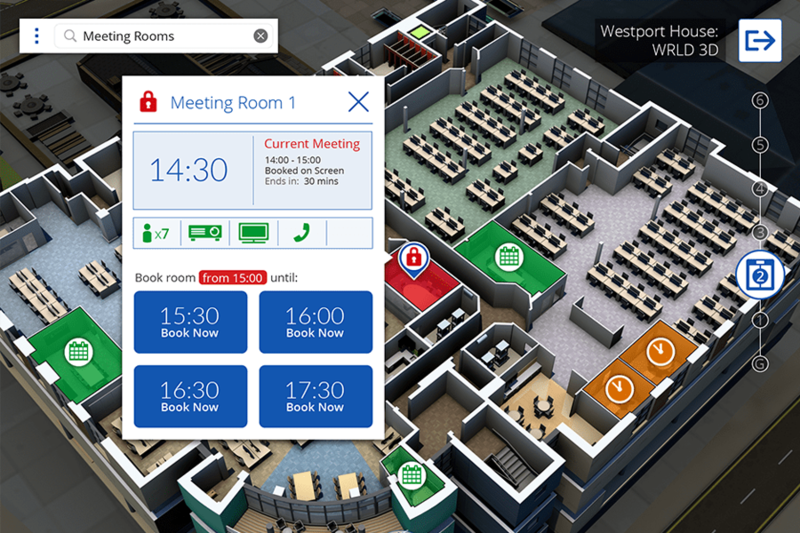 Staying ahead of the growth of smart workplace solutions, WRLD workplace mapping makes it easy to keep a smart office up to date with the latest AR and VR solutions so employees can leverage the advantages of new technology. Expanding with high-performance tech and high-fidelity, game-like technology breeds higher engagement, usage and adoption. AR and VR solutions also can assist recruiters directly in talent acquisition initiatives. An example is calibrating how talent would react to different scenarios prior to being hired, leveraging a better understanding in terms of the quality of hire. What is the WRLD Smart Office? Born out of gaming technology, WRLD stands as a proven 3D mapping platform with thousands of developers actively using our SDKs and APIs around the globe. WRLD enables a fast, accurate, and dynamic visual representation of what your workplace has to offer. As a foundation for today’s smart office, IoT-connected workplace maps serves current employees in their daily tasks while also adding a highly visible smart office technology component to attract and recruit top talent. Using the WRLD 3D mapping platform, facilities managers can monitor and book resources easily, while potential hires can navigate the digital twin the building they might work in, without the need for a tour guide. When they visit the facility, they can easily orient themselves in the environment and navigate to their destinations. This feature is not just handy, it also is attractive to the workforce. With lush, dynamic 3D maps of an office building or a campus, a workplace can truly demonstrate the functionality of its smart office and attract top talent among millennials, who have come to expect these types of features. Using our map design tools to modify current workspace layouts on the go, WRLD can adapt map data quickly and easily to mirror workplace changes and serve content updates in real-time. The platform also provides a robust data pipeline designed for flexibility, making it easy to include additional 3D rendering for additional workplace assets and points of interest. Business is an increasingly digital-centric world, and the millennials that have grown up alongside rapid technological changes expect their employers to be up to speed. An investment in your smart office tech will go along way in bringing in the best of these young professionals. 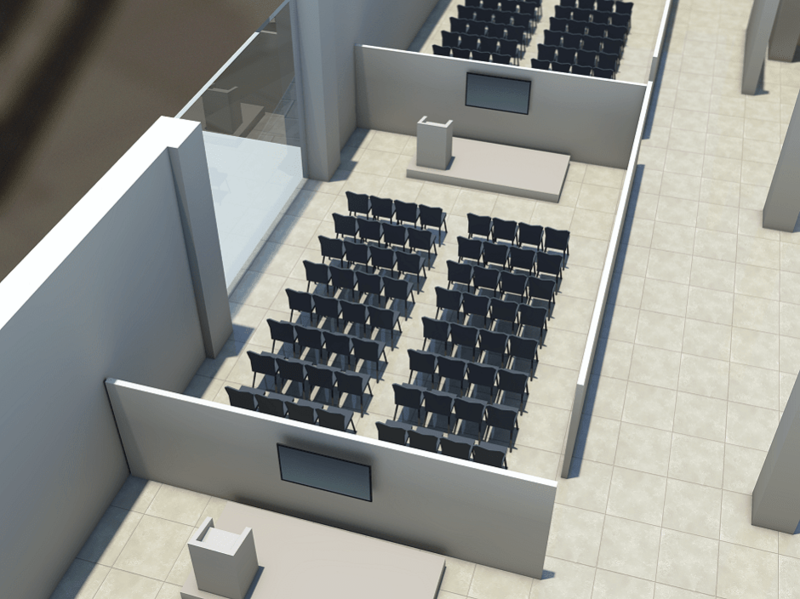 Take a strong step forward by augmenting your workplace reality with WRLD mapping technology and modeling services. Contact us today!